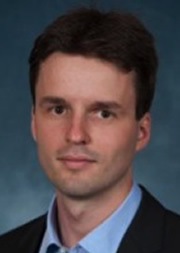 Dmitry Orlov has research interests in several areas of finance and economics including banking, employee performance evaluations, and markets for repurchase agreements. Bayesian persuasion, dynamic contracts, mutual funds, stochastic games. Effect of hidden contracts in advisor contract with the manager. How is manager's perceived ability by outside investors influence the incentives provided to him by the fund advisor. This paper studies optimal design of performance evaluations, internal com- munication, and incentive pay in the presence of dynamic agency frictions. The agent exerts private effort, but the principal is more informed about the verifiable measure of this effort. The principal jointly designs both com- pensation scheme and information flow to the agent. Information sharing improves productivity (for example, allowing a better allocation of resources or effort), but endogenously increases the ex-ante cost of providing incentives over multiple periods. The optimal resolution to such agency conflict features inefficient communication satisfying two properties. First, messages related to good performance are shared more frequently than messages related to bad performance. Second, bad performance leads to less information sharing in subsequent periods. The model rationalizes existing biases and provides new insights into the design of performance evaluations. We explore the effects of firm leverage on ability to attract skilled human capital. We study optimal design of disclosure of aggregate information about the state of the financial system. In order to implement a safe system, a stress test is a combination of capital requirements and information disclosure. Optimal information policy is partial pooling.